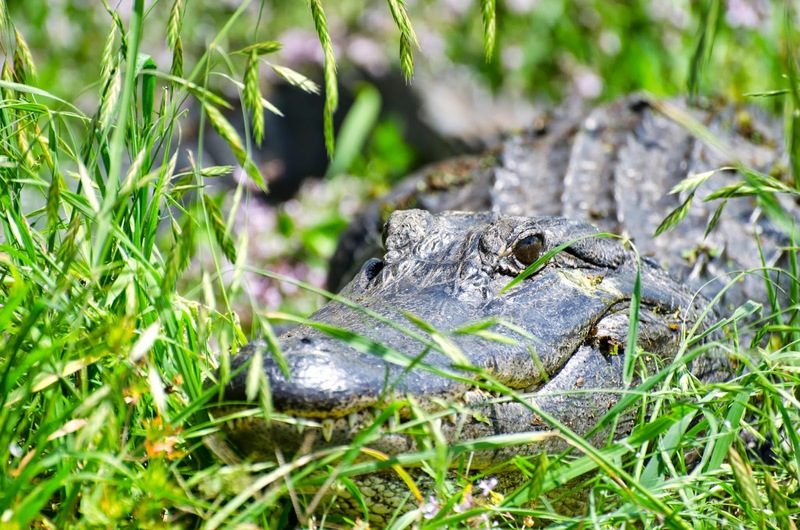 An alligator, Alligator mississippiensis, watching from the grass. 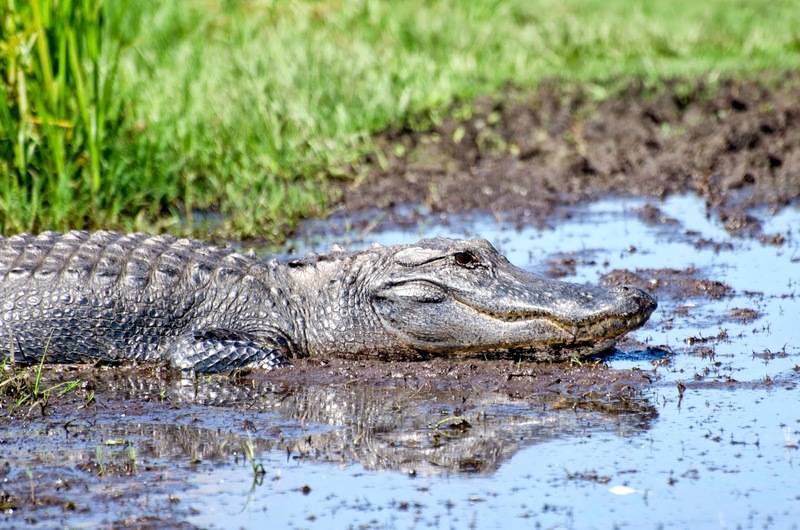 While I was visiting Gainesville, Florida last week, I spent a day at Paynes Prairie Preserve State Park (click here to see the park's webpage). 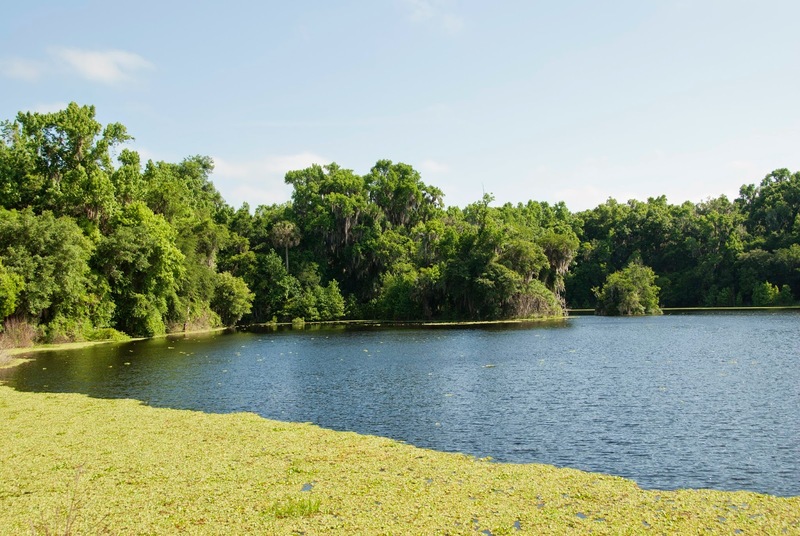 This remarkable wild spot is a National Natural Landmark yet is only a 15-minute drive from downtown Gainesville. It's a little piece of old Florida. Well, not so little -- there are over 22,000 acres with trails, boardwalks, picnic spots, campgrounds, and more. It is crawling with wildlife. 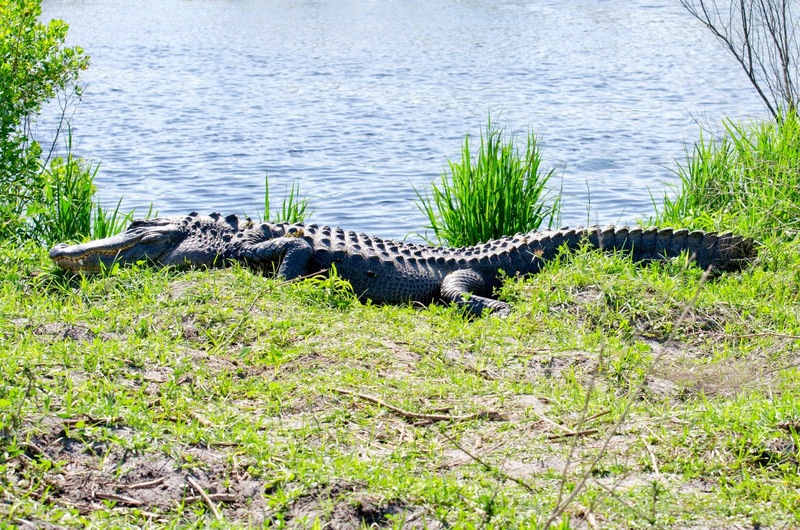 I saw turtles, dragonflies, caterpillars, wild pigs, wading birds, coots, rails, and alligators, lots of alligators. A bunch of them! 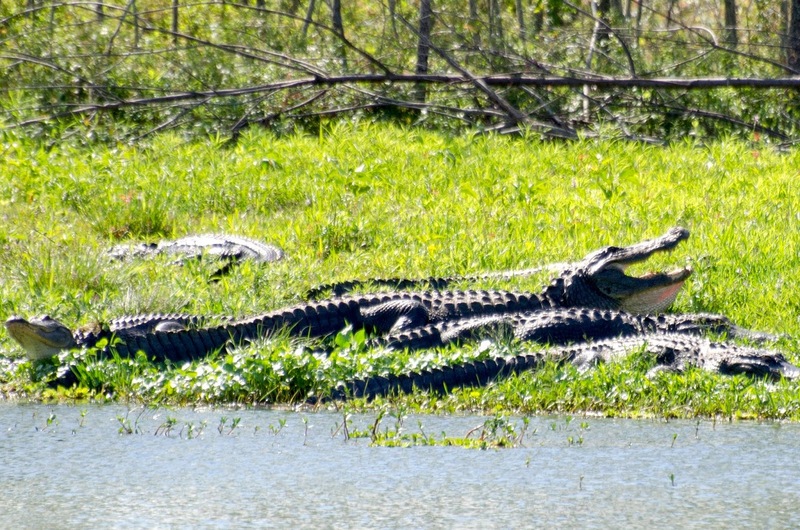 Click to enlarge and check out the one with its mouth open. 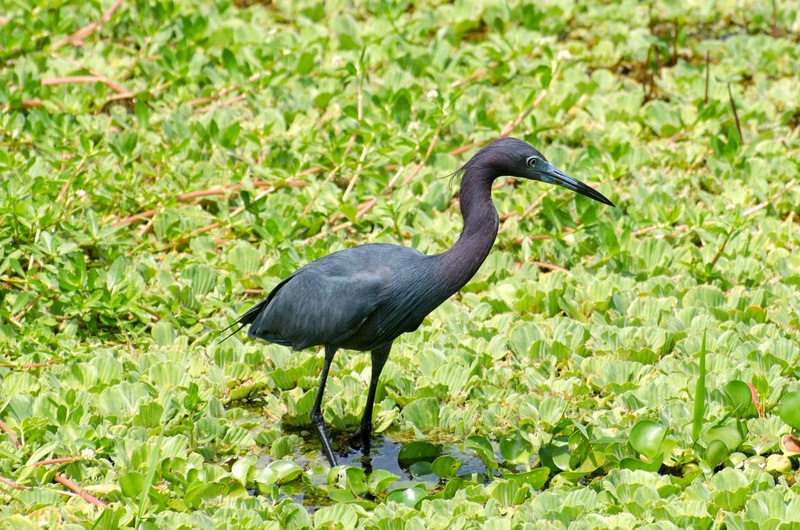 A tricolored (used to be Louisiana) heron, Egretta tricolor. 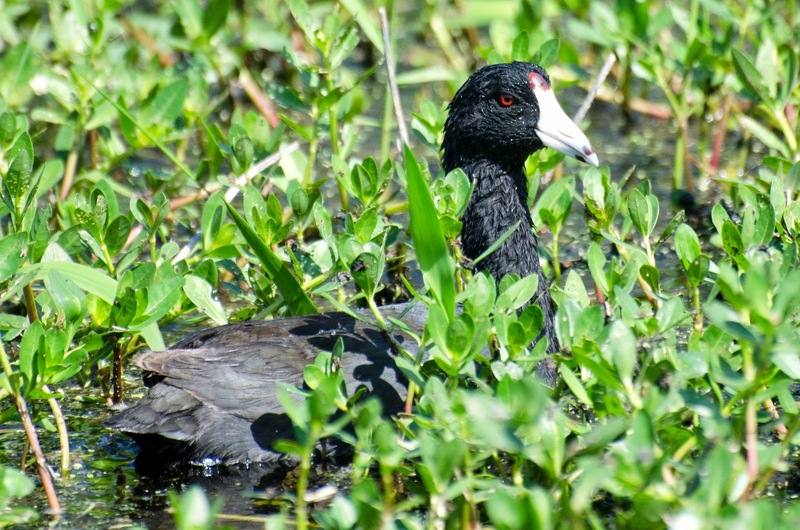 An American coot, Fullica americana. 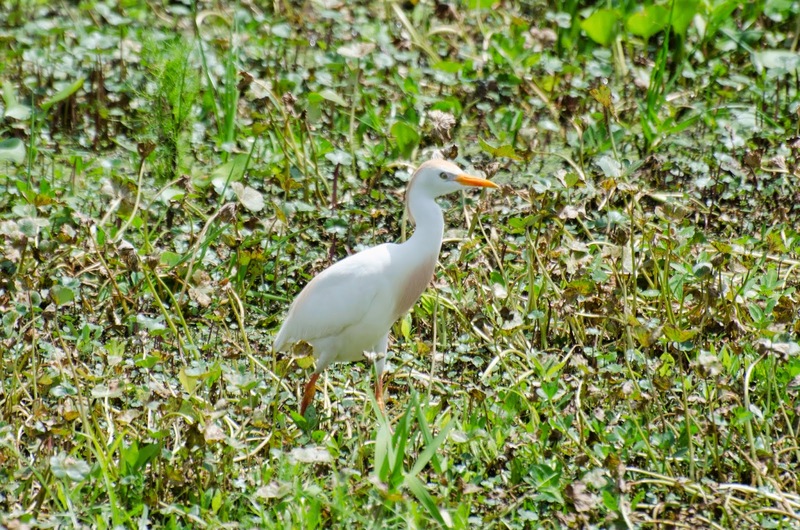 A cattle egret, Bubulcus ibis. 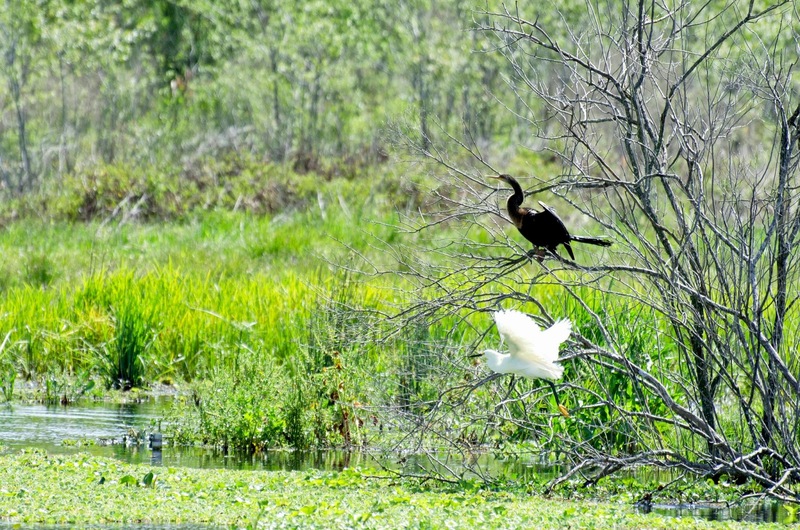 A perched anhinga, Anhinga anhinga, and a flying snowy egret, Egretta thula. 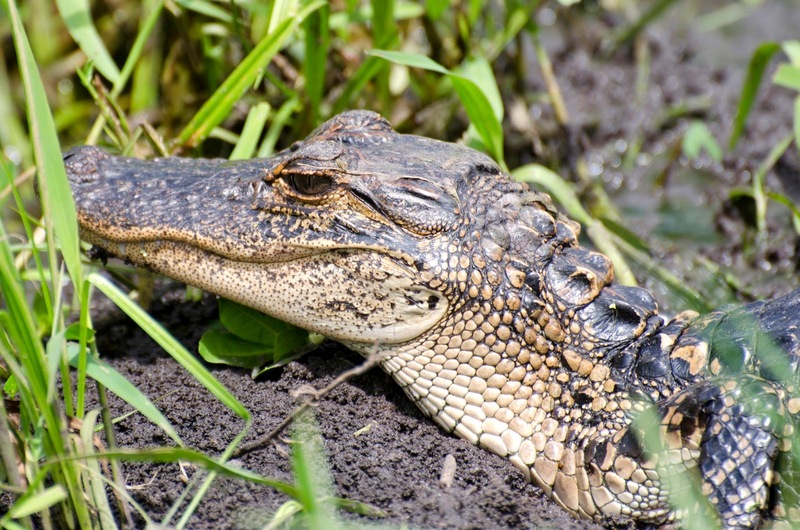 Click here to look at the website of the Friends of Paynes Prairie.